Jefferson senior AJ Mathis is the spark that keys the Dragons offense with a .478 average, 38 runs scored and 43 stolen bases this season. 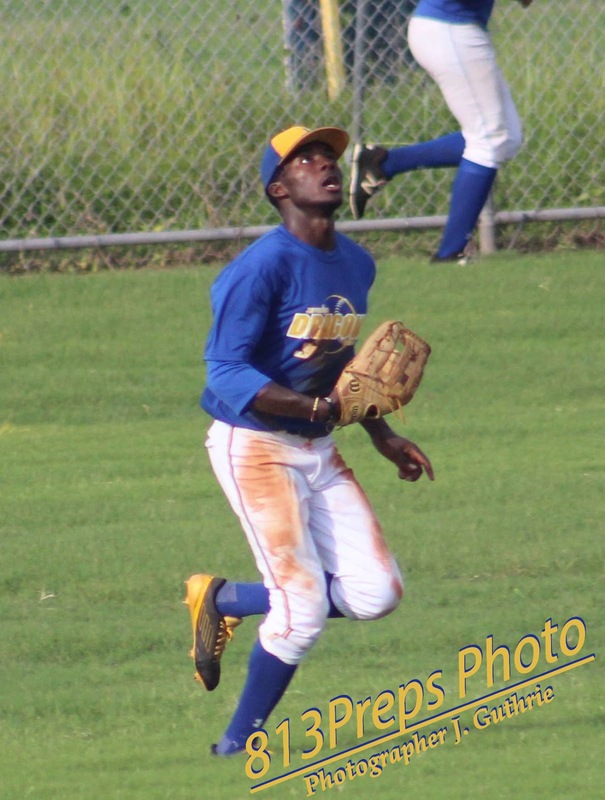 TAMPA – While still an eighth grader, AJ Mathis asked his father to take him to a high school baseball game in Brandon. That game – the 2014 Saladino Tournament Championship – featured a dominating run to the title by a Plant culminating a 4-0 victory for the Panthers. But it was the team on the other end of that tilt the Jefferson Dragons that Mathis said immediately drew him in. Four years later, Mathis has made himself a big part of the team and a leader on and off the field, a superb defender with instincts and speed, a solid hitter, and an absolute terror on the base paths. Among a group of senior leaders, Mathis has Jefferson (19-8) in Tuesday’s Class 6A region final on the road against Dunnellon, aiming at a first state semifinal berth since 1985. Jefferson has solid offense with senior co-captains Robby Martin and Charlie Welch, and junior Marc DeGusipe all producing from the meat of the lineup, but it is the Dragons leadoff hitter who is the catalyst for success. As goes AJ, so go the Dragons. Mathis has posted a .478 average, with 38 runs scored this season. He broke Fred McGriff’s school base-on-balls record last season, and set a new program mark in stolen bases this season with 43. AJ Mathis set a new school record for stolen bases in a season with 43 in his senior year. Mathis said the team had high expectations entering this season, but there were moments this year where they lost their focus. 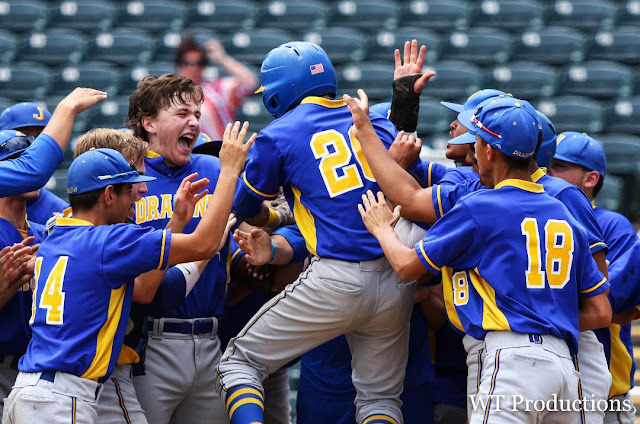 That all changed after the Dragons dropped its district championship game to Jesuit on May 3. The change has sparked two hard-fought efforts so far in the state region playoffs. 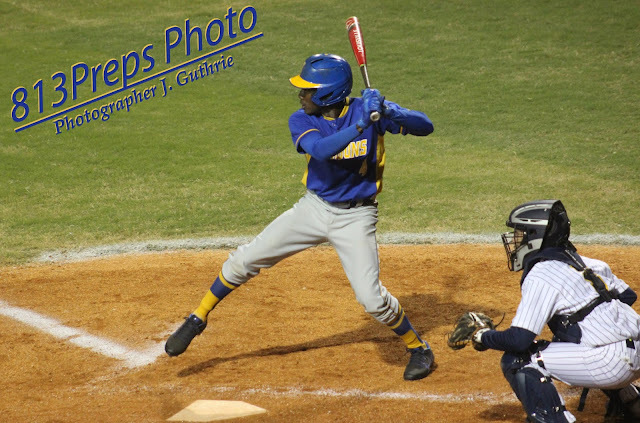 Mathis launched a two-run home run to seal the Dragons’ come-from-behind, 5-4, region quarterfinal win at Land O’Lakes two weeks ago. He went 1-for-3 the following week as the Dragons topped Jesuit in the region semifinals, extending an 11-game hitting streak, while also making some nice defensive plays in center. Mathis is a natural in the outfield with good instincts and a great first step. His speed is evident on the bases, but on defense is where it may serve him the best. Mathis has great baseball instincts, and coupled with his speed, makes him a standout in centerfield and could mean he has an immediate impact in a corner spot at the next level. Mathis is signed to play next season for Florida State, along with current teammate and outfield partner Robby Martin. Though he admits, baseball is his passion and his dedication to improving his game has gobbled up much of his time outside the classroom, that doesn’t mean he has neglected his academics. Jefferson will hold its graduation ceremony on Wednesday, and Mathis finished with a 3.6 G.P.A. But for Mathis, walking across the stage is just a prelude to the mission he feels his high school team is set to see through. King 1B Keyon Floyd: King's Floyd finds greatest role as "teammate"